Automotive industry is in a paradigm shift facing new challenges and opportunities for growth including geopolitical and societal changes, sustainability, mobility, demand for responsive supply networks, shortened vehicle development cycles, and more savvy customers. Sustainable product innovation: Collaborate in real time across globally dispersed product design and engineering teams in a sustainable ecosystem. 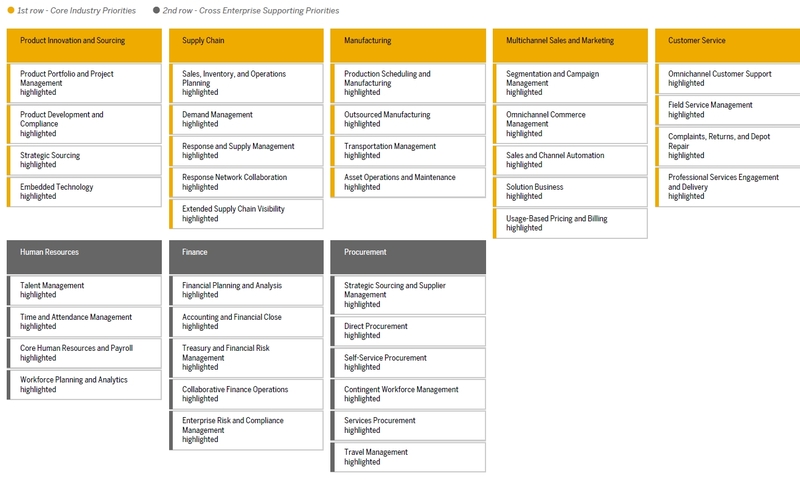 Manufacturing and logistics: Achieve efficiency by aligning stakeholders, assets, and processes across engineering, supply chain, and manufacturing operations. 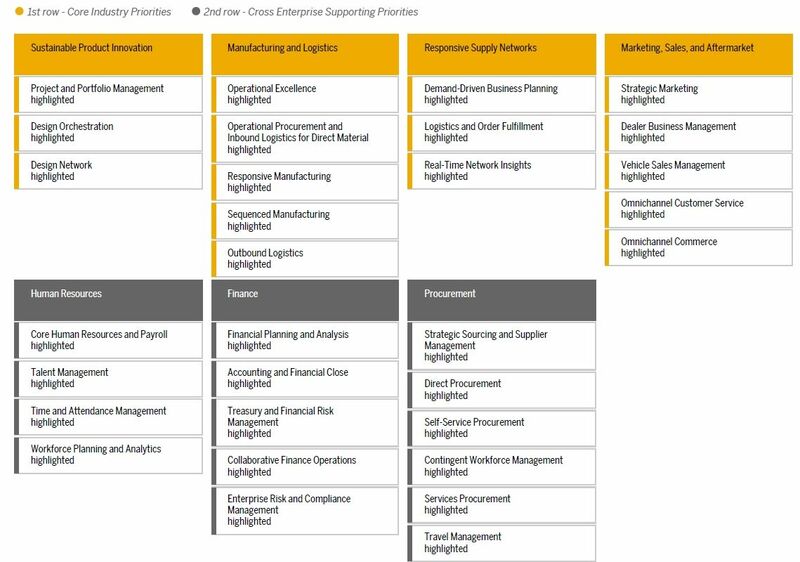 Responsive supply networks: Integrate supply chain processes across interdependent networks to deliver real-time visibility and seize opportunity while detecting and avoiding risk. Marketing, sales, and aftermarket: Delight customers with a simple, unique, and pleasurable buying and ownership experience. Gain unprecedented insight into consumer demands for product innovation, quality, and price then meet expectations without compromising your bottom line. For high-tech OEMs, the ability to innovate is critical. To respond rapidly to evolving trends in today’s connected marketplace, high-tech companies need a powerful platform for innovation. They must be able to analyze huge data volumes to identify new customers and patterns, adapt promotions to new opportunities, and adjust their processes to maximize flexibility while minimizing cost. Product innovation and sourcing: Commercialize your innovation-to-volume process rapidly. Supply chain: Align the global supply chain through effective collaboration. Manufacturing: Optimize manufacturing and fulfillment operations to meet market and customer demands. Multichannel sales and marketing: Drive profitable growth with flexible sales and revenue models across all channels and with a consistent customer experience. Customer service: Increase customer satisfaction and profitability with intelligent service. Accelerate time to market of innovative products and solutions with streamlined processes. Build profit and loyalty by exceeding customers high expectations through personalized interactions across all channels. Accurately sense and respond to changing requirements and better align volatile global networks.